An exclusive group for Chicago Public Square insiders awaits. Become a Square Advocate for a few pennies an issue. Mayoral forecast. Politico’s Shia Kapos handicaps how the race could go Feb. 26. ■ The scandal in candidate Bill Daley’s (distant) past. ■ Candidate Lori Lightfoot’s first TV commercial ties four of her rivals to scandalized Ald. Ed Burke. ■ A fresh batch of Tribune aldermanic endorsements backs a challenger to convicted ex-Gov. Rod Blagojevich’s sister-in-law. ■ Get ready: The Chicago Public Square voter guide is here. Fare-haired child. A baby girl was born on a CTA bus stuck in rush-hour traffic yesterday. ■ Block Club Chicago: Chicago bike shops have been hit by what looks like a coordinated web of thievery. Illinois’ minimum wage … would rise to $15 an hour under a plan advancing—but not all that quickly—in Springfield. ■ The Trump administration’s Consumer Financial Protection Bureau is moving to make life easier for America’s sleaziest payday lenders. 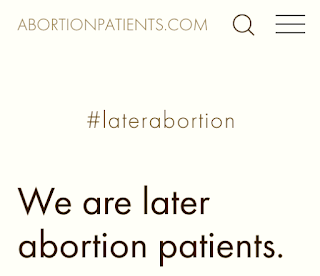 ‘We are not monsters.’ On a new website, AbortionPatients.com, families who’ve chosen the late-term abortions inaccurately condemned by President Trump in his State of the Union address have a chance to share their stories. ‘A giant clusterf__k.’ That’s how one longtime Democrat assesses a trio of scandals for the party’s top three elected officials in Virginia. ■ CNN: None of the three wants to quit first. ■ Massachusetts Sen. Elizabeth Warren apologizes for calling herself a Native American on a 1986 Texas bar registration card. ■ Among hundreds of new emoji on the way to your keyboard under the latest Unicode Consortium update: One that may be useful for putting male egos in perspective. Thanks … to reader Pam Spiegel for helping clarify the link to Rick Morrissey’s column above.